Dealing with images in WordPress is crucial as they affect the overall performance of the website. 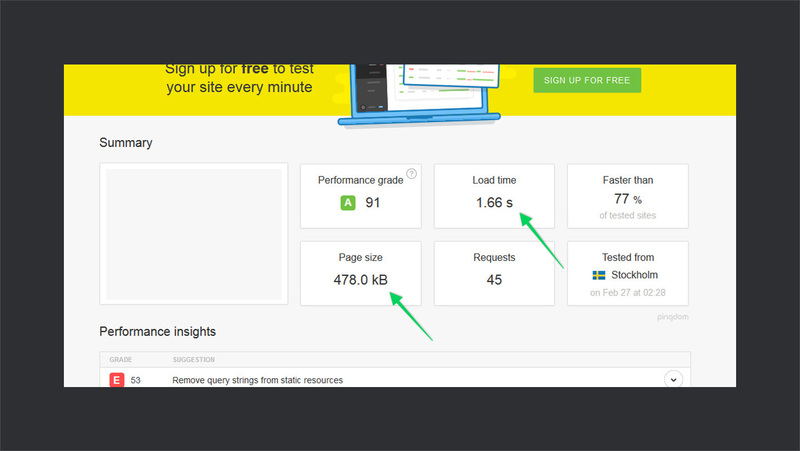 Slow loading of images results in low page speed and can have an adverse effect on SERPs. So, you have to consider certain factors while handling images on your site. Recently, while working on a side project, I came across this amazing image gallery plugin for WordPress called Modula. It’s incredibly lightweight, fast, and super easy to use. After using it for a while now, I am pretty excited to share this awesome plugin with you. In this extensive review, I will be taking a deep dive into the functionality, features, and speed of this plugin. Let’s jump into it. Modula is a clean and lightweight WordPress grid gallery plugin developed by the incredible team behind MachoThemes. Folks at MachoThemes curate high-quality free and premium WordPress themes. Launched in 2015, Modula currently rocks more than 88,000+ downloads and 10,000+ active installs. So, Modula is here to stay. Modula is in fact, their first WordPress plugin. 👉 The reason Modula is called grid gallery plugin is that the way it displays the images in the gallery. Images are expanded in two dimensions, covering multiple rows and columns just like grids in CSS grid style. That’s kind of analogy between the way Modula displays images and grids in the CSS grid mode. Images directly affect the page speed of a website. 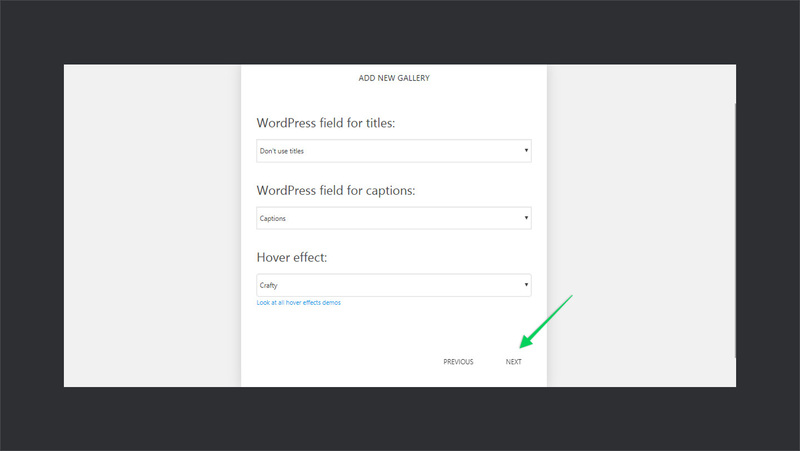 So, you’ve to be very careful while choosing a gallery plugin for your WordPress site. If a gallery plugin is not properly coded, it can make images load slower and result in low page speed. I decided to take Modula for a spin and see where it stands out. In order to check this out, I used 10-15 images and inserted them into a post with a built-in WordPress gallery on a production site. After that, I inserted the same pictures using Modula. I performed speed test in both cases and compared the results. Just check out the screenshot below of before and after using Modula. With Modula, it resulted in bigger page size and increased load time. 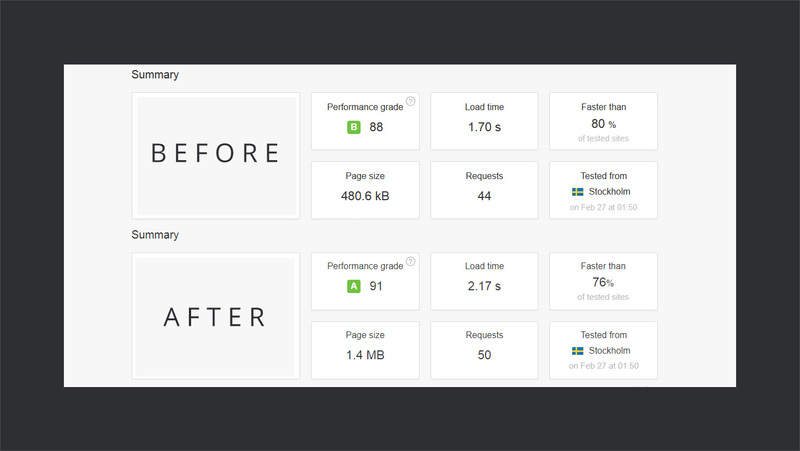 However overall performance was not affected much as it still loaded faster than 76% sites as compared to 80% before. 🔍 To check out the reason for differences in the results, I went ahead and analyzed the page resources in each case. The increase of ~1 MB page size in case of Module was because of the fact that it was loading images at 500 px width. While the default WordPress gallery was loading the images on the average at 180 px width. This difference in the image sizes resulted in high size images and big page size. It ultimately contributed to increased page load time. So, apparently, there was nothing wrong with the Modula. 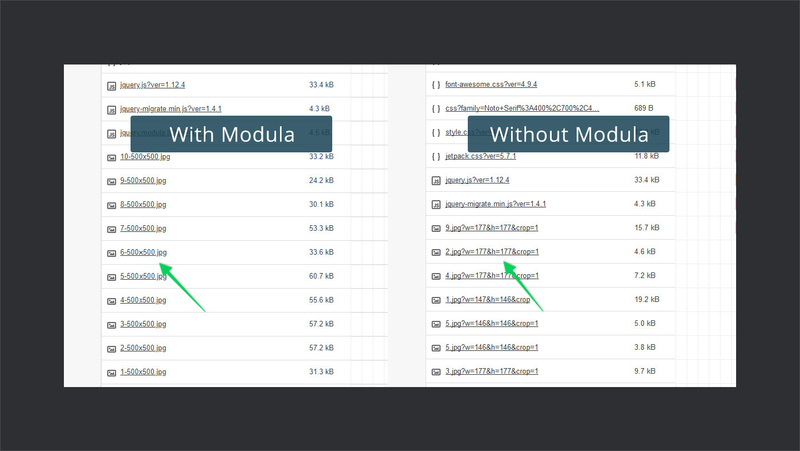 To verify that everything was fine at the end of Modula plugin, I changed the size of the images. I changed the image width to 170 px which is roughly the size that default gallery uses. I was not only able to beat the page size of default WP Gallery but also reduced the page speed. Long story short, I was able to put my images into some pretty sleek and clean galleries without compromising the performance. In fact, this time page size was reduced to 478 KB as compared to the original page size of 480.6 KB. Also, load time was reduced by 0.4 secs. Moving on, let’s quickly go through the features that Modula has to offer. The team behind Modula has done an amazing job by making demos of all features available on their site. It makes purchase decision easy. Modula comes with 6 lightboxes out of the box. You can choose different lightboxes for different galleries according to your needs. They’re pretty clean, fast and there is no fancy stuff. Check out all the demos here. Another interesting feature of Modula is that it allows you to filter images. Now, these filters are not like those of Instagram image filters but kind of category filters. Which means that you can create certain tags or labels and then manually label your images. Now, when you display your gallery, it shows those filter on top of it. Click on the label which you have created to display those particular images. Check out the GIF below. Modula lets you shuffle images in your gallery. With this feature enabled, every time you load the page images in your gallery will be shuffled. This way it gives a fresh look to your gallery on each visit. Now, apart from shuffling the images in your gallery, you can also add some beautiful image loading effects. There are a variety of built-in loading effects for your images. Slide horizontally/vertically, rotate or scale images as they load. One thing to be noticed here is, adding image loading effects doesn’t significantly affect page speed. Images still load quickly and smoothly. However, it adds another layer to the better user experience. With Modula, not only you can add loading effects and light boxes but also modify the look and feel of the images. You can modify the margins between the images in your gallery. Play around with the different values of the margin to adjust it according to your needs. Using Modula is as easy as it can get. Things are quite simple and straightforward. Still, there is a nice visual documentation on getting started with Modula. It explains the quick four steps to create your gallery. Apart from the user guide, its code is also well-structured and properly documented. 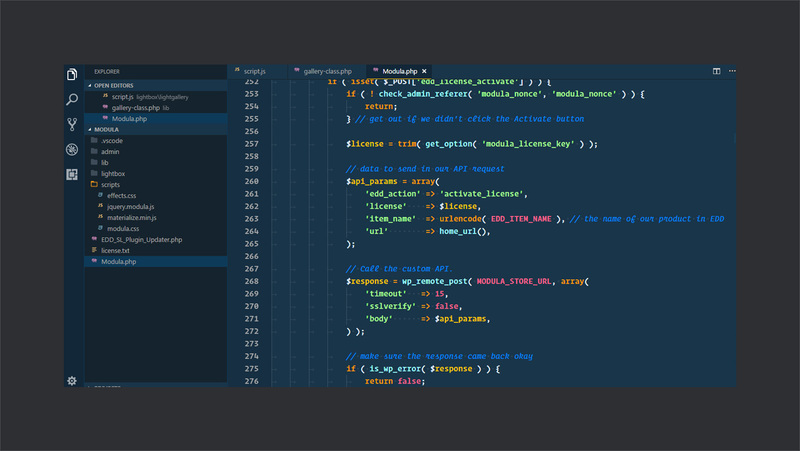 You can easily get hang fo the coding style after a while. Which means less effort while customizing or extending the plugin. 🤞 Responsive: Modula gallery is responsive out of the box. So, design your gallery without worrying about the end user devices. Your gallery is going to perform same on all the devices. 🛸 Hover Effects: Modula also comes with a couple of built-in hover effects. 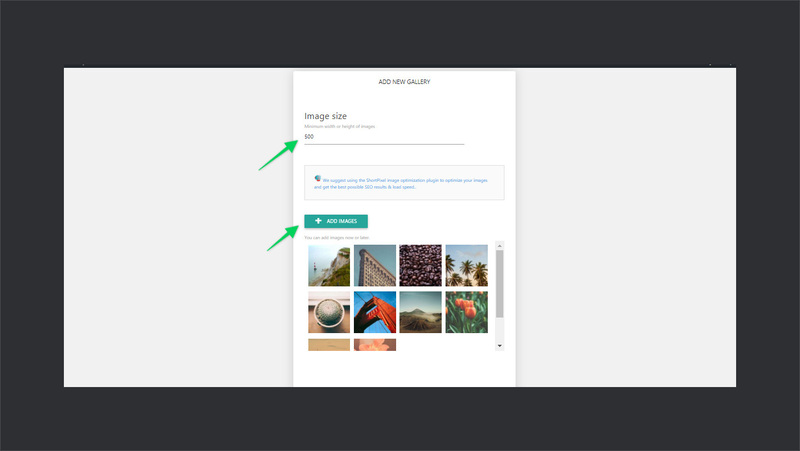 You can customize the on hover content as well as select from a couple of hover effects. 📌 Social Sharing: With social sharing feature, you can display social media icons on your images. While hovering on the images, users can see the social sharing icons and quickly share the images. Now, let us move on to setting up Modula in WordPress. Getting started with Modula is quite straightforward and simple. Follow the quick steps below to get started with Modula. The very first step is to download and install Modula. After downloading, go to WordPress dashboard and navigate to Plugins > Add New. Click Upload Plugin, select the .zip file, install, and activate it. 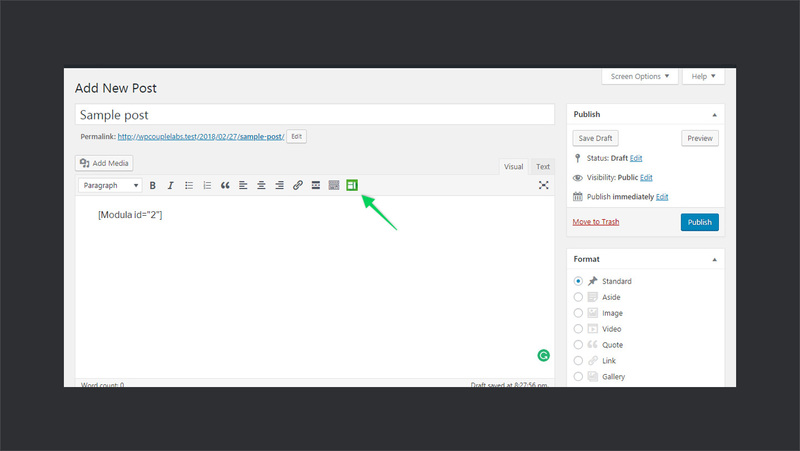 After installation, it adds a menu named Modula in the sidebar of your WordPress dashboard. Now, next step is to create a new gallery. Navigate to Modula > Add Gallery to set up a new gallery. Name your gallery, add a description, set height/width, and click Next. Now you’ll select fields for titles and captions. Also, set the hover effect for your gallery images and press Next. Don’t worry, you can always change these settings later on. Here, you have to add images to your gallery and select image width for your gallery images. Now, that’s the same image size that I discussed earlier in the review. Keep it small for better results. Select the images for your gallery, image size and hit Save. Your gallery will be created and you get a shortcode for your gallery. 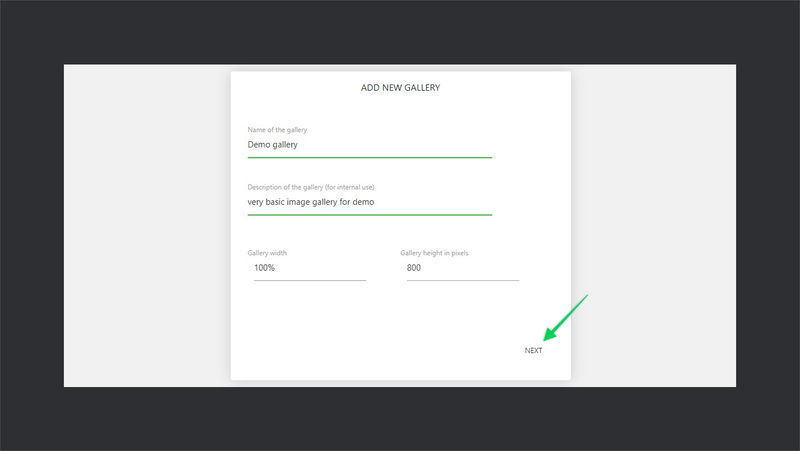 Insert this shortcode where you want to display the gallery. So, creating a gallery with Modula is just 4 clicks away! Also, since it generates shortcodes, you can use them to display the gallery in the widgets section of your site too. Next is the interesting part where you’ll display your newly created gallery. To do so, create a new post, click on the little green Modula icon in your editor toolbar, select the desired gallery and its shortcode will be inserted. Hit publish and it’s live. Modula is available in both free and premium version. 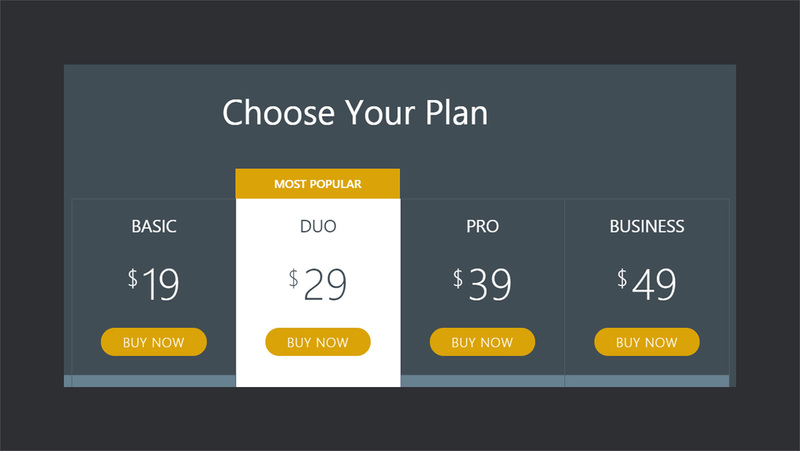 Its premium license ranges from $19 for a single site to $49 for unlimited sites. The best part here is, licenses only differ in the number of supported sites. Apart from that, you get all the features irrespective of the license type. However, in the free version, there are some limited features. 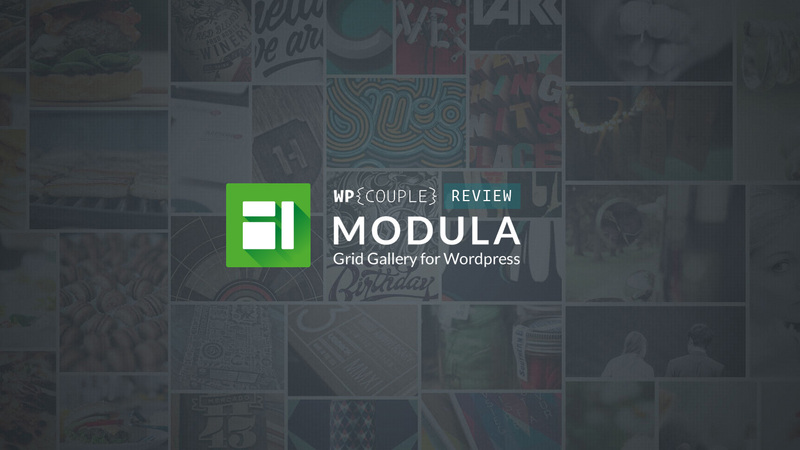 The team behind the Modula plugin offered an exclusive 25% discount for WPCouple readers. Simply use the coupon code WPCOUPLE at checkout to grab the discount. Modula grid gallery plugin delivers what it promises. It’s pretty clean, fast, and easy to use. If you’re looking for an image gallery plugin for your site, then Modula definitely deserves a shot! On the top, Modula provides its functionality without affecting the performance of your site. In short, you can create modern grid gallery and enhance the user experience without hurting your site speed. 👉 Like many other plugins, Module adds a colored icon in the dashboard. Now, the thing here is, it’s generally not considered a good practice and leads to poor UX. Check out Ahmad’s blog post about Never Build Colored Icons/Menus in WordPress. 🤔 Creating galleries with Modula is pretty easy. Just a couple of clicks and it’s done. But I have a concern here. Modula makes use of Material UI instead of the native WordPress UI. Also, the flow of creating/managing galleries is different from posts and pages. Modula is still quick and easy to use. But I would love to see Modula shifting to WordPress native UI in the future updates. With the native UI, it’s easier for the users to get started with any new plugin. Ultimately it may result in more adoption and user retention. What do you think of Modula? Have you used any other image gallery plugin? Let me know your thoughts in the comments section below.